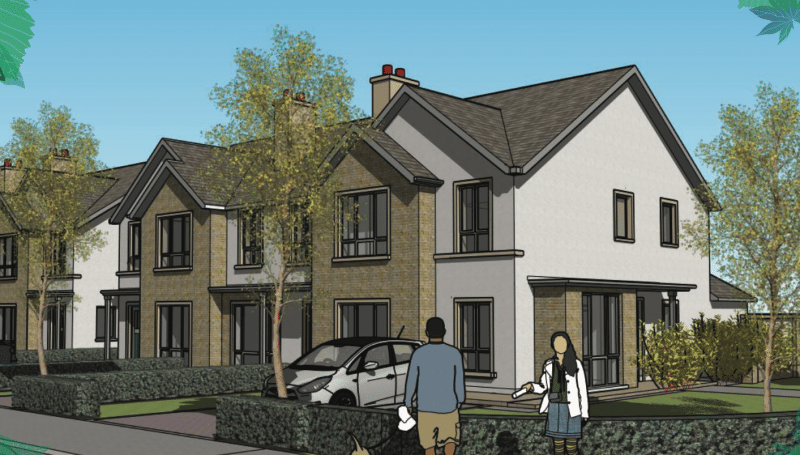 Development of 16 Residential Units at Friary Walk, Callan, Co.Kilkenny. 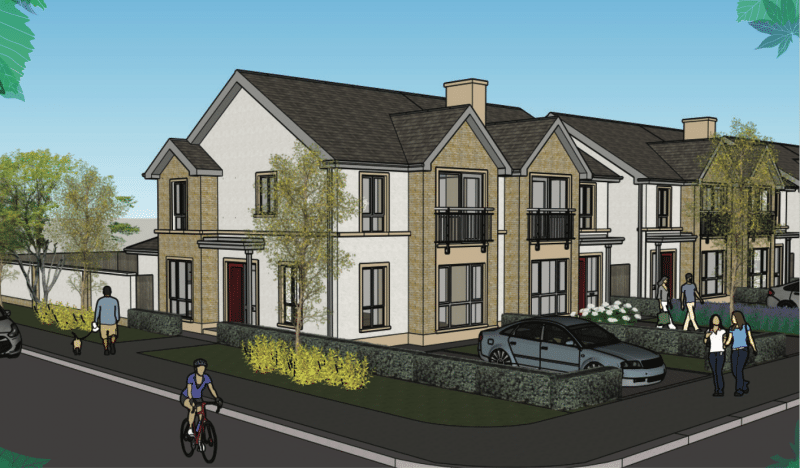 The houses at Friary Walk are classified as low energy/low CO2 homes with an ‘A’ BER rating. They include an innovative heating system which combines quality construction methods and high levels of insulation with clever use of renewable energy to provide maximum comfort in all seasons. The central heating system is an Air to Water heat pump located externally. This system provides energy efficient central heating and large capacity hot water storage. High levels of insulation incorporated into the roofs, walls and floors, high performance glazing along with the Air to Water heat pump system contributes to the A3 BER rating and a reduction in the cost of heating the house.